Pin It You may have noticed some new companies advertising on the side of my blog alongside some old friends that have been with us for a while. I just wanted to take this opportunity to officially introduce you to them and spread some special sponsor love to these guys. 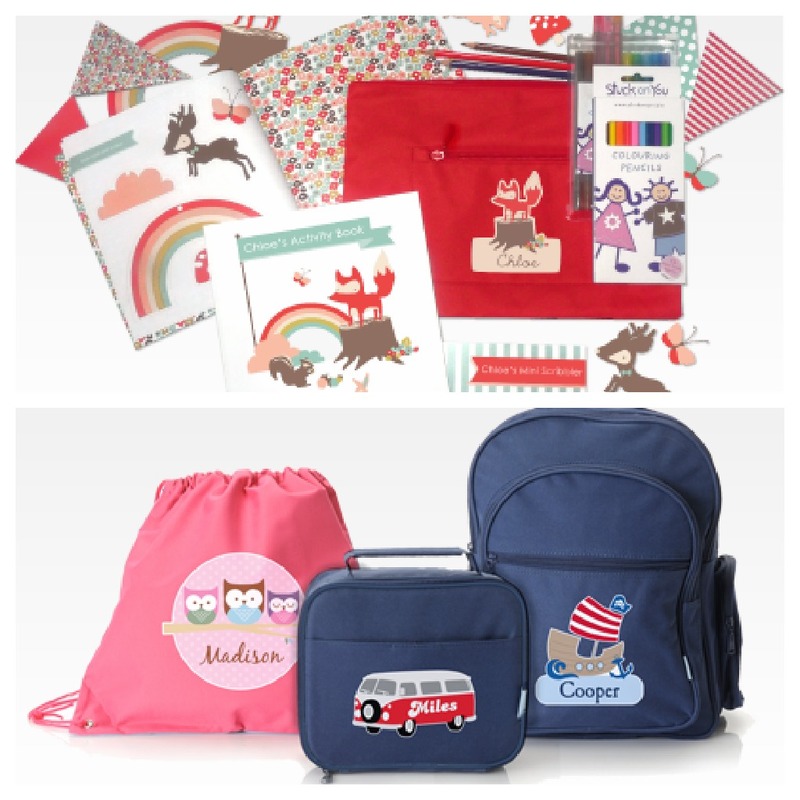 Originally starting out over 16 years ago supplying gorgeous kids labels, for bags, clothes, books and pretty much everything, Stuck On You now sell personalised clothes, Bags, Stationary, Wall decals, party invitations and stationery, puzzles and loads more. Their designs are just adorable, trust me on this as my kids spent ages drooling over their website and there is a design to suit every child's personality. 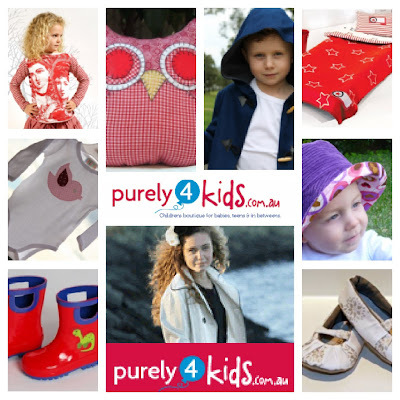 You can check out Stuck On You's Website here, their Facebook Page Here or you can click on their logo in my sidebar. Stay tuned for some gorgeous giveaways from them in the next 2 weeks! Purely 4 Kids is the brain child of 2 fabulous mums who with 6 kids between them, know how painful it can be to take kids shopping for clothes. All items stocked by Bright Buttons Toys are chosen based on quality, reputation, providing a high level of education and learning, and uniqueness.Their range includes everything from Educational toys to Musical toys, Train sets, Puzzles, to good old fashioned Role play sets like little Kitchens and Puppet Show Stages. You can check out the Bright Button website here or visit their blog here and a they have a Facebook Page too. They are always having fun sales and specials so be sure to like them on Facebook to stay updated. 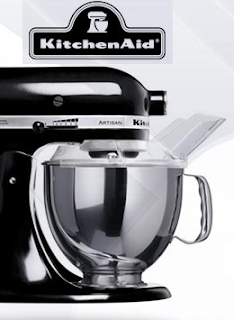 Kitchenware direct has been with Life Love and Hiccups right from the very beginning.They are a family owned business who have been retailing kitchenware since 1992. They are now Australia's premier online kitchenware store and one of the largest specialty retailers of cookware and kitchenware in Australia. Stocking only the best brands of kitchenware and cookware, they stand behind every product that they sell and have a 30 Day Money Back Guarantee to prove it! Brands they stock include All-Clad, Anolon, Calphalon, Cuisinart, KitchenAid, Le Creuset, Shun, Wusthof, Global, Scanpan, Circulon, Bamix and Magimix. They have an extensive product offering across categories such as Appliances, Bakeware, Barware, Coffee and Tea, Cook's Tool and Kitchen Gadgets, Knives, Crockery and Cutlery. You can find the Kitchenware Direct website here and their Facebook Page here. And last but certainly not least is One Direction to Success, a business run by Qld Mum and Personal Development specialist Anthea Thomas. One Direction To Success is a business opportunity for mums (or anyone) to work from home running their own business. The Global Company is the most award winning Success Education company worldwide and among many of their products, is the main one which is a life transforming Personal Development / Success Education Program that is sold to individuals and organizations worldwide. Full support and training is provided, so that it is easy for anyone with the motivation and desire to succeed. There is no need for prior marketing or sales experience, as you learn as you go. All business owners are actively using the Personal Development products, which enables them to be a product of the product, and see wonderful changes in their personal life, as well as their financial goals by helping others in their career. You can visit Anthea's One Direction To Success Webpage here or her Facebook Page here.